Congratulations to Nicole P., and Meredith M., winners of the tour prizes and to Fangirls Read it First, the host winner. 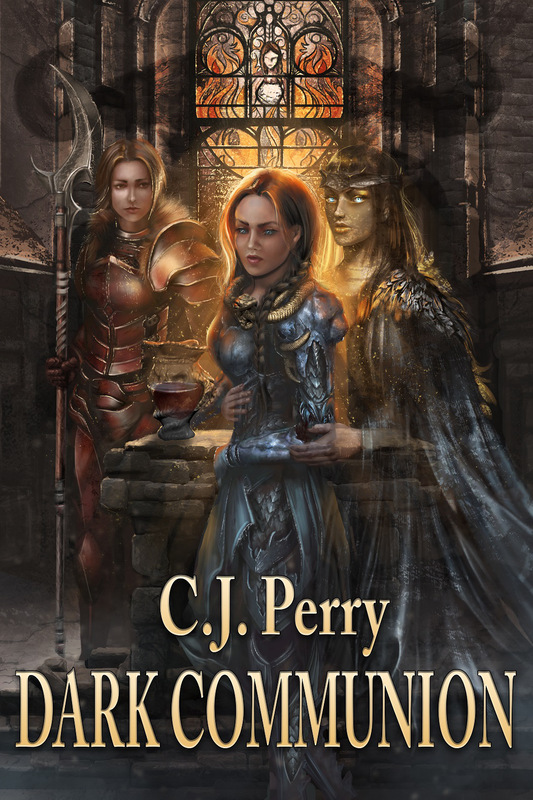 Goddess Fish Promotions is organizing a Virtual Book Tour for Dark Communion by CJ Perry, a epic fantasy available October 30. The tour will run September 19 – October 14, and CJ Perry is available for guest post and interviews. Please note that the review copy is an ARC and has not gone through its final editing. Pre-purchase links are not yet available. The author will send them as soon as he has them. CJ Perry will be awarding a $10 and a $20 Amazon or Barnes and Noble GC to two randomly drawn winners via rafflecopter during the tour, and a $25 Amazon or Barnes and Noble GC to a randomly drawn host. The minotaurs have kept Ayla and Deetra's people in chains for 200 years. With nothing left to live for, and a death sentence in her womb, Ayla trades her soul for a chance to break the curse which holds her people in slavery. Armed only with her faith, she and Deetra start a revolution, and bring about the return of the Goddess of Darkness. September 28: Archaeolibrarian - I Dig Good Books! I would love to host on 09/22 on Fabulous and Brunette!! I can do a guest post - thanks!! I would love to host on 19 September with a guest blog about ~ "What is the best and most rewarding thing you find about being a writer? Want to share what you think is the worst and most frustrating thing you find about being a writer? ".